The fall premiere season is hardly over, with CW taking the wraps off of if its new comic book adaptation, Arrow while NBC and ABC unveil Chicago Fire and Nashville. Of course, some old favorites are returning too, and web series Dr. Horrible’s Singalong Blog is making its TV debut Tuesday night. Look below for the highlights this week, followed after the break by our weekly listing of what to look out for in TV, Blu-ray and videogames. 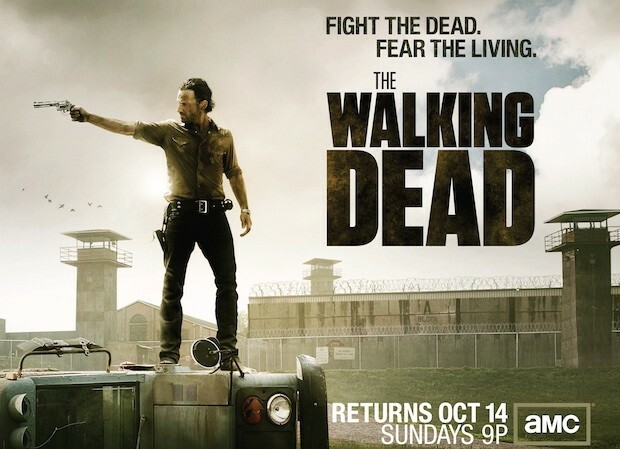 After season two’s exciting finale we are once again all in on AMC’s zombie apocalypse series. Fans of the comic are looking forward to seeing characters like Michonne and The Governor, but first our ragtag band of survivors will apparently try to take control of a prison. Should be a piece of cake. Check out the season three trailer embedded after the break and set your DVR for Sunday night. The sci-fi movie that has produced more divisive opinions than any other this year finally hits Blu-ray this week. Complete with a 3D edition and requisite iPad companion app, the hook is promises of extra scenes and background information that may help fill in this story. Unfortunately, unlike one of director Ridley Scott’s other flicks, Blade Runner, the extras aren’t smoothly integrated as an XL-sized director’s cut, at least not in this edition. Still, if you dig it there should be plenty to keep you watching once the movie is over, and while it’s playing the visual effects will entertain. Whether you’re as obsessed with fantasy football as we are or not (hopefully not, it’s just unhealthy at some point) this series about a group of friends and their league is one of the most consistently funny shows of the last few seasons. Last season ended with the Shiva trophy getting a viking funeral at sea, and while we have on idea how they’ll top that, we suspect Rafi will be involved somehow. Of course, it’s not the only show on FX Thursday night, as It’s Always Sunny in Philadelphia returns ahead of it this week, with shows from Russell Brand and W Kamau Bell bringing up the rear. Must See HDTV (October 8th – 14th) originally appeared on Engadget on Mon, 08 Oct 2012 17:43:00 EDT. Please see our terms for use of feeds. 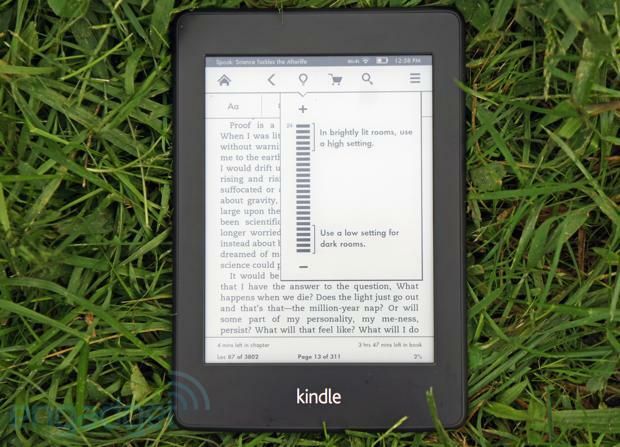 Last week’s release of the Amazon Kindle Paperwhite offered an opportunity to look back on the rapid growth of e-reading, and look forward to what the digitization of publishing will mean to four major market forces: publishers, bookstores, authors and readers. As during any technological disruption, winners and losers trade fates until the upheaval settles and a new cycle of status quo begins. Amazon is not the only bookstore represented in the scramble for new-era survival, but its major role has multiple dimensions: seller, publisher, enabler, inventor and primary instigator of disruption. Amazon is banking on being a winner, and was recently handed an advantage by the U.S. government in its uneasy relationship with publishers. While industrial forces work their way through the dislocation of new paradigms, individuals — both book consumers and book authors — stand to be the biggest winners, and that is a good thing. Editorial: Bring on the digital overthrow of publishing originally appeared on Engadget on Mon, 08 Oct 2012 17:00:00 EDT. Please see our terms for use of feeds. 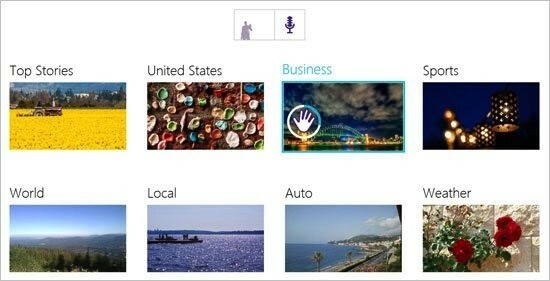 Microsoft had hinted that there were big things in store for its update to the Kinect for Windows SDK on October 8th. It wasn’t bluffing; developers can now tap a much wider range of input than the usual frantic arm-waving. Gadgets that move the Kinect itself can use the accelerometer to register every tilt and jolt, while low-light fans can access the raw infrared sensor stream. The Redmond crew will even even let coders go beyond the usual boundaries, giving them access to depth information beyond 13 feet, fine-tuning the camera settings and tracking skeletal data from multiple sensors inside of one app. Just where we use the SDK has been expanded as well — in addition to promised Chinese support, Kinect input is an option for Windows 8 desktop apps. Programmers who find regular hand control just too limiting can hit the source for the download link and check Microsoft’s blog for grittier detail. Kinect for Windows SDK gets accelerometer and infrared input, reaches China and Windows 8 desktops originally appeared on Engadget on Mon, 08 Oct 2012 16:30:00 EDT. Please see our terms for use of feeds. This entry was posted on October 8, 2012, 5:51 pm and is filed under Mobility. You can follow any responses to this entry through RSS 2.0. Both comments and pings are currently closed.